This visual perception space puzzle is a fun one for kids who love all things outer space! Sometimes a fun puzzle is just the way to make to therapy fun. This Space Visual Perception Puzzle helps kids develop and build skills such as visual discrimination, spatial reasoning, visual motor skills, and motor planning. 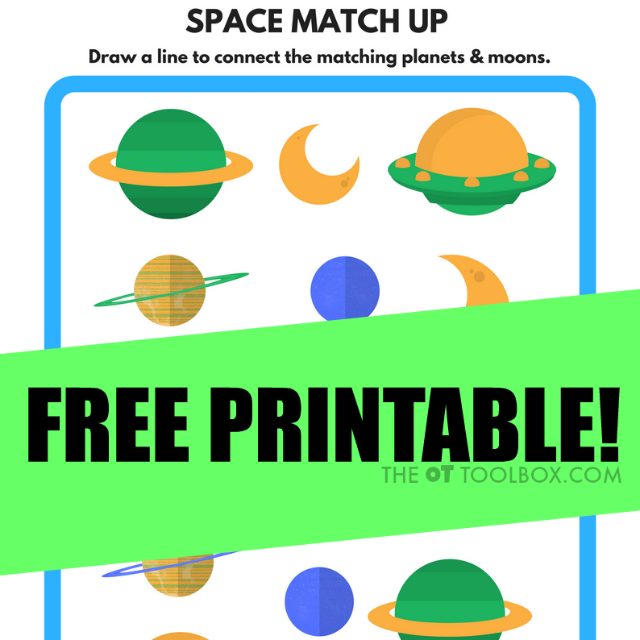 Kids can work on pencil control and motor planning to connect matching planets and shapes, but be sure to go around the planets that are in your way! 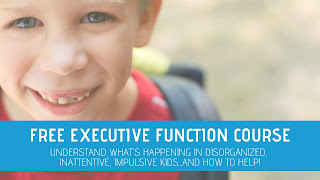 Visual Discrimination- Noticing and identifying subtle differences in shapes, colors, direction, and forms is a necessary skill for functional tasks like matching socks or silverware. 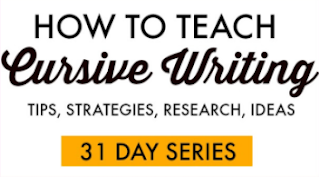 Visual discrimination is a skill that is essential for handwriting, reading, and math. CHildren who struggle with visual discrimination may not notice small details or may confuse letters or numbers that are similar like b, d, 2, and 5. Spatial Reasoning- This skill is what allows us to walk around objects in our path with enough space. Spatial reasoning is needed for handwriting when determining if a word will fit in a given space or if we need to write smaller or move to the next line at the end of the right margin. Encourage kids to draw pencil strokes around the planets so they don't touch the other planets with their pencil. Visual spatial relations is a spatial reasoning skill. Visual Motor Skills- Coordinating visual information with movements of the hands is a skill that is needed for handwriting. Use a writing utensil to connect the matching planets and moons while working on visual motor skills needed for written work. 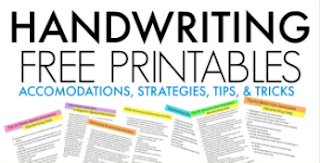 Visual Memory- Children need visual memory for handwriting, reading, math, and many tasks during the school day. Visual memory is a skill that allows us to store a visual piece of information or a form in our mind and recall the characteristics of that form. 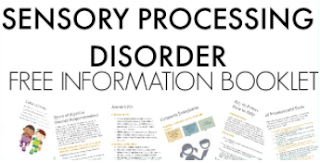 This printable sheet can be used over and over again if you laminate it or slide it into a page protector. Just use a dry erase marker to erase the lines and re-use the puzzle again. 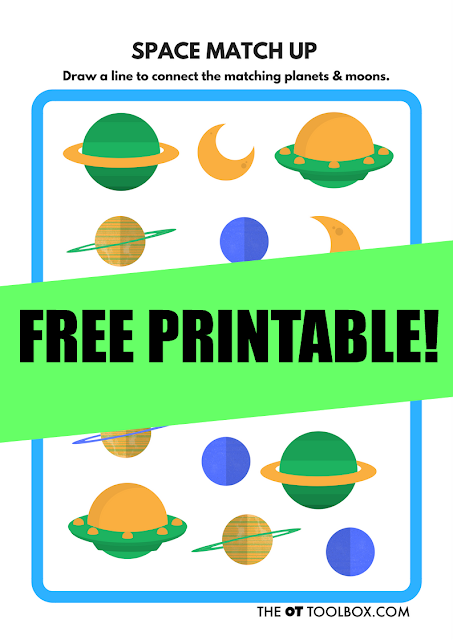 The best news is that this space visual perception puzzle is FREE! Grab your free download by clicking the button below. You'll be directed to enter your email address and will be directed to the download. 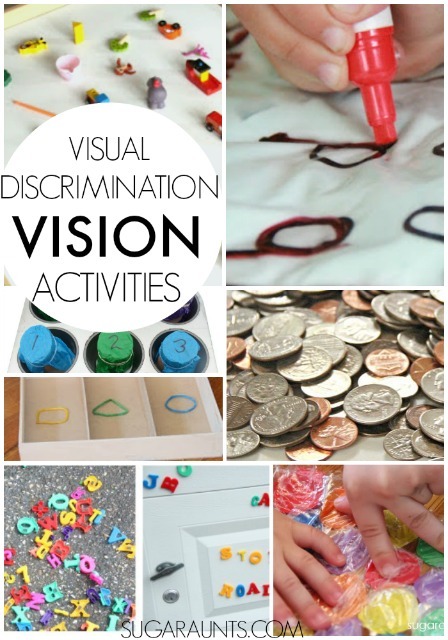 There are a lot of other visual perception and visual motor activities on this site that you will love.